Custom Mission Patch. 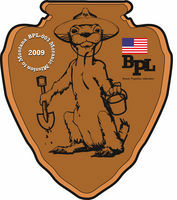 The official BPL-003 Moranic Mission To Montana emblem. 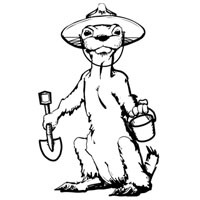 Features 'arrowhead' motif with cute pest rodent handling collection equipment, in true space mission design tradition. 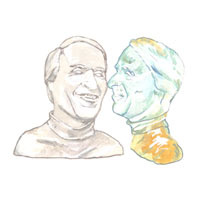 BPL will send you two (2) $.44 Custom Made U.S. postage stamps, good for first class mail, or repairing torn memos. These things are emblazoned with one of BPL's catchy mottoes such as "Failure Is An Option", or "It's Not Rocket Science", and our logo. Surely the future will see many special BPL Stamp Editions, so start your collection, or inflict it on someone you have feelings for. BPL contribution: funds to be squandered on BPL's latest mission, and to feed starving corporate executives. Contributions will be rewarded with a printable certificate sent to your email address. 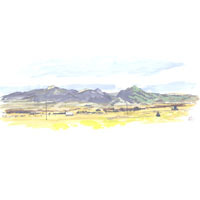 A "raffle" will be held during the BPL-003 mission after operations have begun in Montana. The pre-determined "winner" will get the dubious honor of launching the ICARUS High Altitude Vehicle Element (IHAVE) from the deck of the MUNIN lander, via the Interweb. 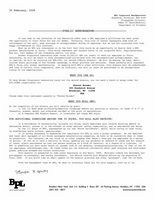 Any purchase made between January and August, 2010 automatically enters you, whether you want it or not, into the contest. In the interests of avoiding any legal entanglements associated with 'games of chance', we have decided to eliminate the element of chance altogether. 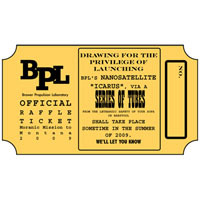 So what you get for your money is the good feeling that you are playing a vital role in the mission, and BPL will send you this artistic keepsake 'ticket'. 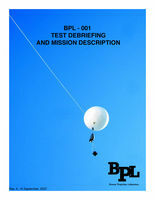 SUBSCRIPTION TO BPL MISSION REPORTS ON CUSTOM USB FLASH DRIVE: So you hate paper. We'll put all of BPL's past year's documents and some extra photos and a few special items on a custom thumb drive, which claims to be totally green in its manufacture and carbon usage! Think of all the paper you will be saving! And all the electricity you can waste! The real advantage here is you can erase all that stuff if you want and use the drive for your own memos- and BPL will be able to use the paper for insulating spacecraft or something! 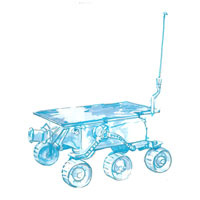 A 2007 document issued to introduce the Limited Intelligence Marginally Produced Exploration Rover to BPL customers. Production and testing scenarios are outlined and a rare 'bill of ingredients' appears at the end. This document has been updated to include more of the hapless Rover's development and the continuing 'Search For Life On Earth (S-FLOE). 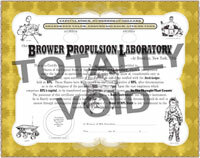 Brower Propulsion Laboratory Official Stock Certificate: The Value of BPL Stock will never go down! Unencumbered by the legal strictures of incorporation or adherence to any laws of governance, save for its own, BPL shares represent an unvarnished view of the health of the company. In essence, you get what you pay for, an unprecedented phenomenon in American investment. Because of this innovation, just one of many to BPL's credit, Company profits will always increase, and investor risk never will. This worry - free kind of investment may indeed someday become the standard by which all American companies are judged. Tourist painting, China style. 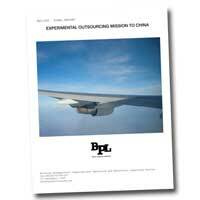 Paintings generated by our outsourcing mission to China (BPL-002) have been pretty much sold out. Speaking of that, we would be happy to make you a 'fake' one, by having the same artist make another version of the original Chinese-Manufactured-American-Made imported art-sketches. Given that these potential new items are knock offs, the price per unit will be higher because the inentionality of the original project will be even more manifest than in the originals. And speaking of that, see more of them and get information on the mission at the mission page. 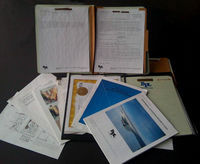 BPL's latest batch of hand made, mission-oriented, touristic renditions of targeted landing and experiment locations, executed in archaic art materials, and using our own Art Application System, offered as pre-relic anticipatory memorabilia related to the BPL-003 Moranic Mission to Montana. Each painting comes with novel filth barricades and authenticating documentation. Brower Propulsion Laboratory recycled mug. Our logo cleverly sandblasted over, and indeed, into, some other corporation's promotional item. We are considering calling this gesture 'pre-purposing', as we are doing the same thing with the same object, only more so. 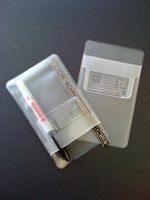 BPL Company Issue Pocket Protector: A floppy vinyl sleeve with the BPL logo. Good for pens and testing friendships. Logo burned by custom device fabricated in our Electrospeculation Facility. Brower Propulsion Laboratory re- or pre-cycled t-shirt. 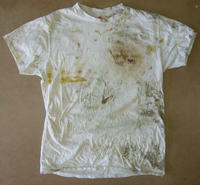 Design, color and stains vary. We could even produce a brand new one for American Conformists. 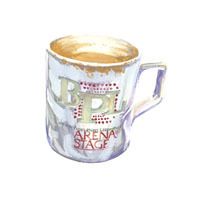 You get the BPL logo, with one of our popular slogans, such as 'ITS THE THOUGHT THAT COUNTS', 'THE WRONG STUFF', 'IT'S NOT ROCKET SCIENCE', 'FAILURE IS AN OPTION', or 'GOING NOW HERE FAST'. XL, White in stock, but we could be persuaded to generate one that is more aesthetically appealing, within reason. Indicate any preferences in the 'notes' section when you check out. AAS (Art Application System) with bound documentation. 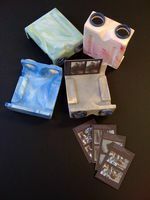 This unique watercolor box is the actual prototype used to create the Touristic Art Trinkets (TATs) during BPL-002 Outsourcing Mission to China. It is offered here in anticipation of a limited production run, but in the meantime is still being used to generate TATs and Scout Paintings (We only have need for one around the lab). BPL is developing stereo cameras for imaging the Yellowstone environment during the -003 Moranic Mission to Montana. We are producing several sets of 5 Photogram cards each, at intervals during mission operations. These stereo cards, printed on sturdy inert material, depict genuine spacecraft-observed phenomena and development highlights. They are made exclusively for use in our Viewer (#03-SV003). BPL is offering a year's subscription to the photo collections, which means you will receive all the stereo photos taken during a year's worth of operations. Since our viewer also works with an iphone, you may opt to receive these images electronically, to conserve paper waste and to waste electricity. LIMPER (Limited Intelligence Marginally Produced Exploration Rover) Breadboard Prototype, BPL Serial # 03-S003-01. 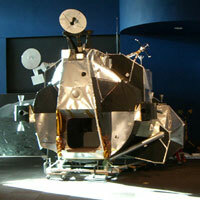 This is the original testing specimen for the LIMPER project to Cheaply Search for Life On Earth (C-SLOE). While still awesome, some of the expensive or broken equipment has been removed or cannibalized from the unit for other aerospace projects, which makes it totally 'green' due to recycling and de-toxifying. Price includes Vitrine and Limper Mission Press Kit. $1,000.00 s/h.